Of course, we’re not all professional home inspectors here. 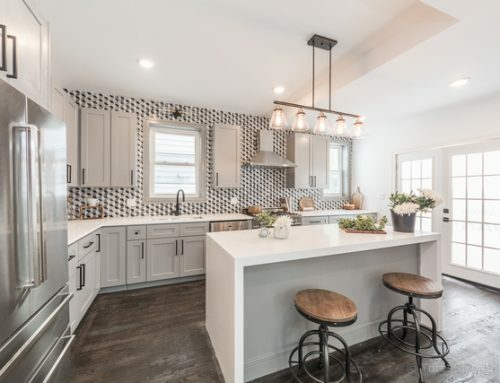 But you don’t have to be to spot these red flags when walking through your potential future home. Here we list eight things that are worth bringing to the attention of your inspector before your home inspection. Age is the number one indicator of whether heating and air equipment needs to be replaced or not. The average lifespan of an air conditioner is 15 years. 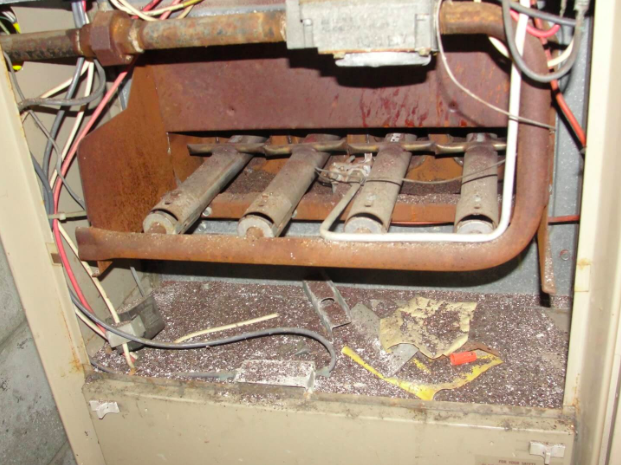 The average lifespan of a furnace is 17 years. This website tells you how to read the age of every brand of air conditioner, furnace, and water heater from the serial number. This furnace has seen better days. Beware. That being said, if this equipment has been serviced frequently and recently, it’s likely to last longer. If it has not been tuned regularly, it won’t be of the same quality of one that has. 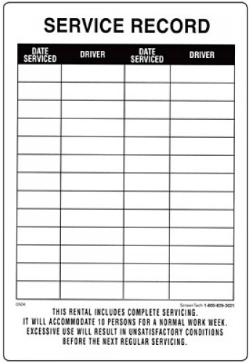 Many vendors will log their service dates using a sticker on the furnace (similar to an oil change center), but use common sense too: if the furnace looks dirty and poorly cared for, it probably is. 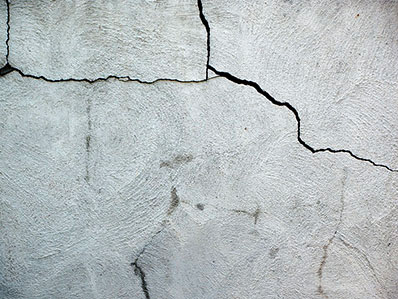 Cracks that are wider than ¼ inch thick should be addressed with an inspector. Thickness of a crack is more important and telling than length. Also note that horizontal cracks are also more of a red flag than vertical and diagonal cracks, because they are harder to form. They are typically an indication of something being wrong, while vertical cracks are less serious and more related to age. You will see more cracks around the weak areas of structures; doors, windows, and meetings – wall meets another wall, floor meets wall, wall meets ceiling. Vertical cracks like these aren’t as alarming as horizontal cracks – these are the ones to look out for as they indicate issues within the wall. 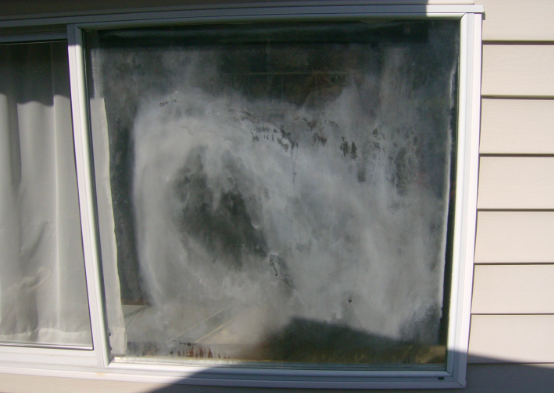 If a window is foggy or has condensation, it is an insulated window, and it needs to be replaced. 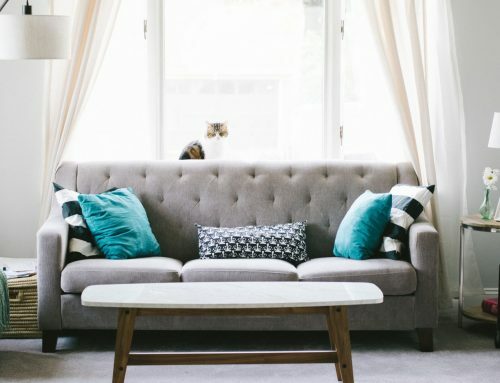 Insulated windows are double paned windows – two pieces of glass with and air cavity in between – and condensation inside the window is indication that the seal is busted. This causes a foggy window and also means that the insulation value of the window has been reduced. This window came straight out of a horror movie about home inspections. Make sure the shingles on the roof are laying flat. 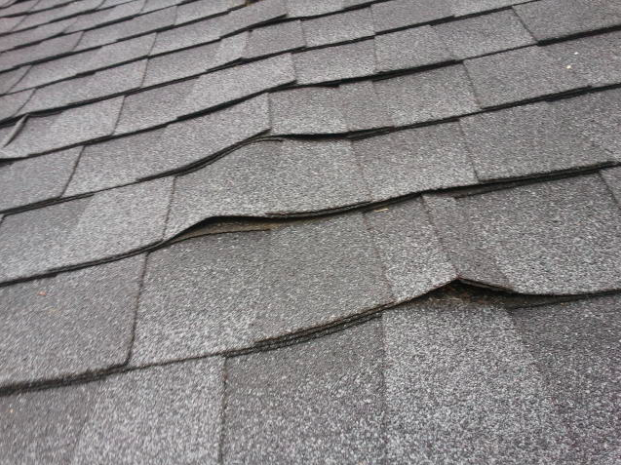 Shingles shrink and curl from the elements. 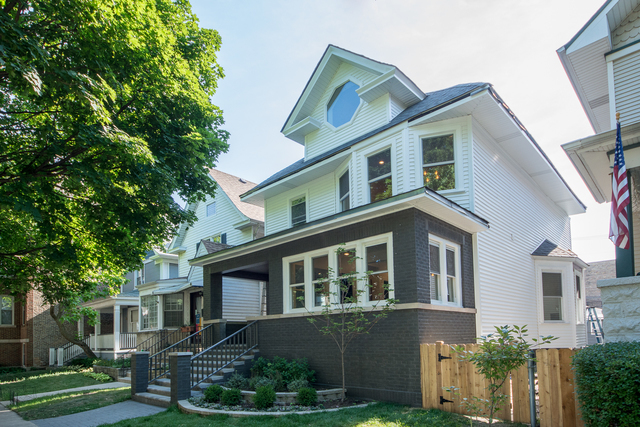 An old roof should ideally be torn off and replaced, but budget-conscious homeowners can get away with having a roofer simply layer the new roof over the old. Note, this trick works only once – if you can tell that there are more than 2 layers of shingles on a roof, that’s not good – the roof will need to go. Anthony advises to stay away from a sloping house if it’s newer. 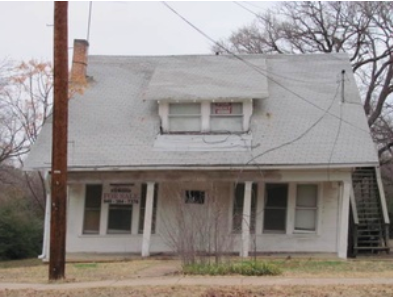 If it’s an older house, give it a chance. Go inside and check it out a to see if there are any major problems you can detect. A strong wind just might be this house’s downfall. Pun intended. These are all indicators of needing maintenance. 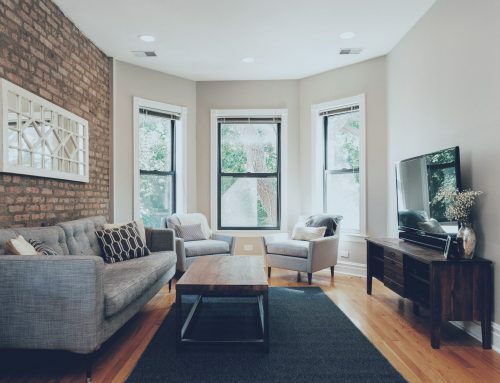 While mortar is an easy fix (called tuck pointing), brick and lentils (pieces of metal above a window or door that support the wall) are more serious. 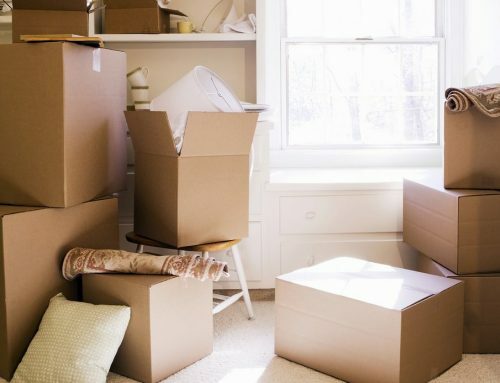 These can lead to structural damage down the road. 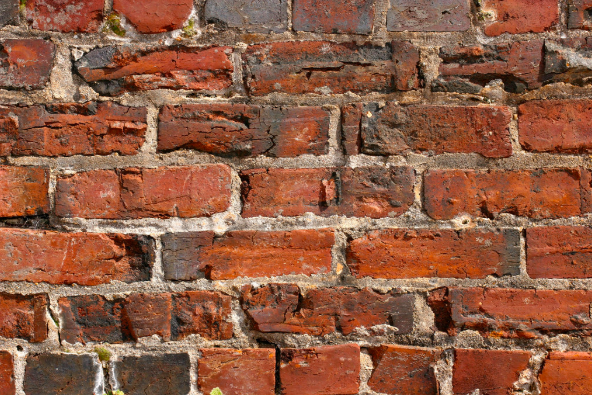 Spalding is the term for when water gets into brick and it starts flaking away. Weep holes (a small hole in the bricks that allows water to seep out) and wick ropes (those tiny short ropes you see sticking out of brick walls) help avoid this. We don’t trust this brick and you shouldn’t either. This is an indicator that something is going on – there could be high moisture content or even worse, leaking, seeping, etc. If the problem is mild, a dehumidifier can help, but major cracks and crumbling are signs that the problem is more significant. 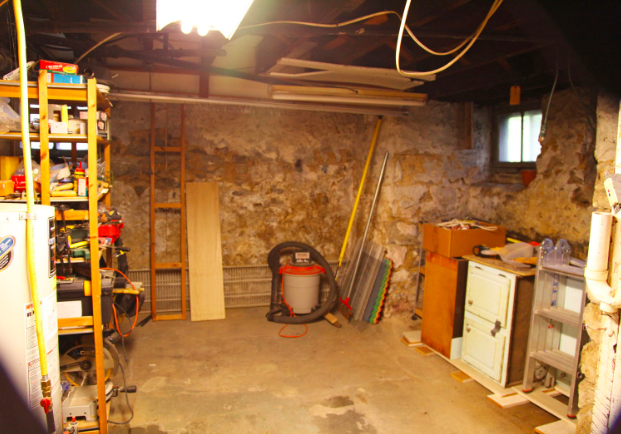 You can imagine this basement probably doesn’t smell good, but just make sure it doesn’t smell moist or moldy. Or like dead bodies, etc. 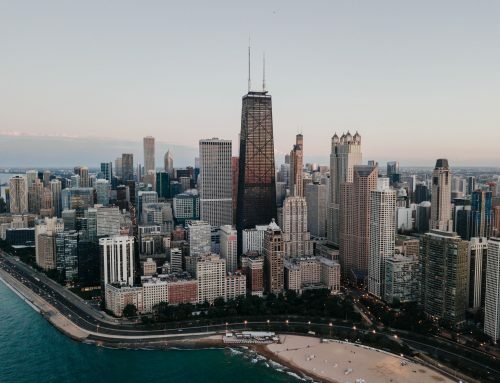 Special thanks to our friend Anthony Pope of AP Inspections (Anthony@apinspections.us) for providing the information for this blog post.